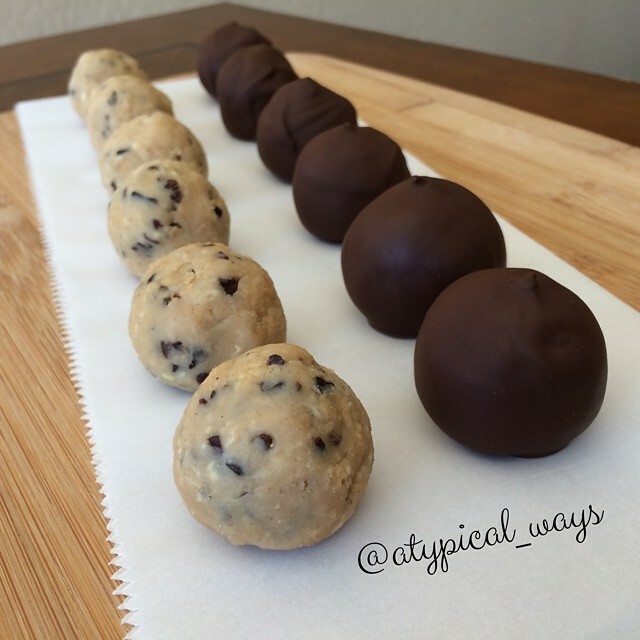 Chocolate Chip Cookie Dough PROTEIN Truffles – half of them covered in Sugar Free Dark Chocolate! 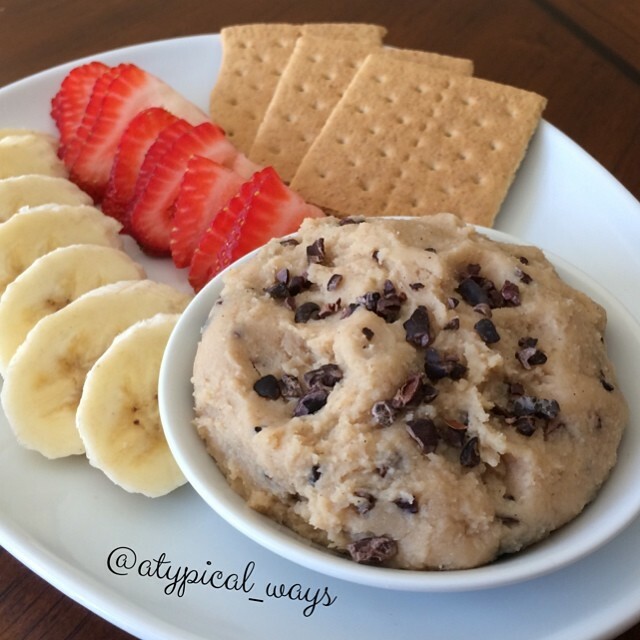 SOOOOO GOOD & Simple! 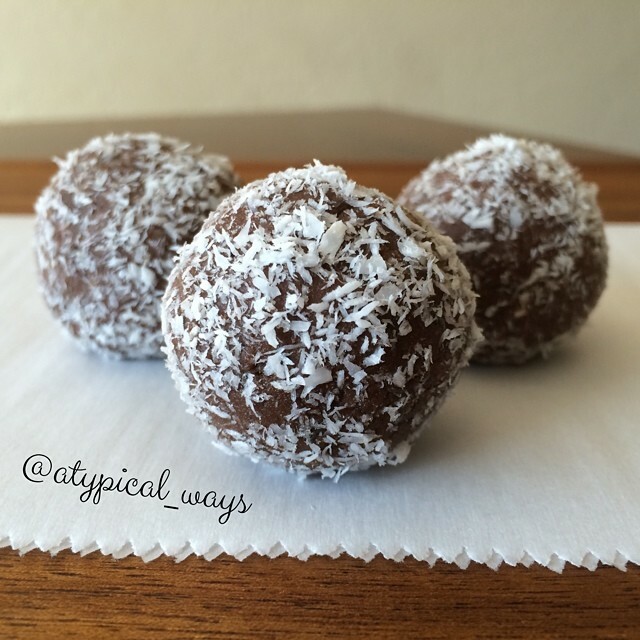 Chocolate Chip Cookie Dough PROTEIN Truffles – covered in Sugar Free Dark Chocolate! 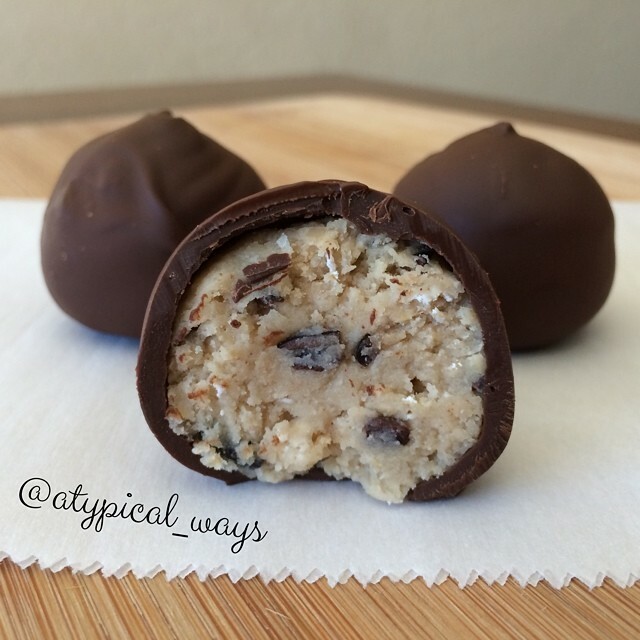 Chocolate Chip Cookie Dough PROTEIN Truffles – half of them covered in Sugar Free Amber Lyn Dark Chocolate! SOOOOO GOOD & Simple! 1oz TruVibe Organics cacao nibs – yum! Drain and rinse the beans well under running water. Place beans & agave nectar in food processor and blend until smooth. 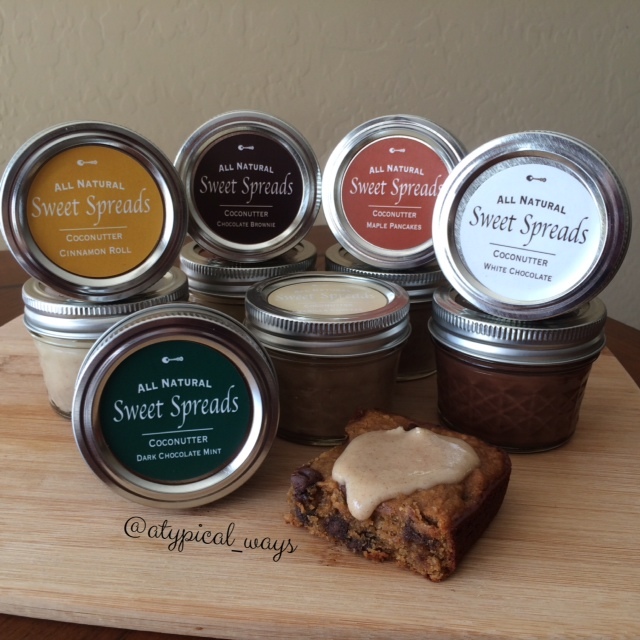 Next add in the protein powder, coconut oil, cinnamon & vanilla and continue to process until smooth – using a spatula to scrape down the sides. Transfer dough into a medium sized bowl and stir in cacao nibs & quick oats. Refrigerate overnight to allow dough to firm up. Once firm, roll into desired sized balls. Place the balls that you plan on dipping into chocolate in the freezer for about 2 hours. Melt the chocolate squares in a microwave safe dish in the microwave for 30-45 seconds. Stirring every 15 or so seconds. Stick a tooth pick in the top of frozen dough ball and dip into chocolate. Place on wax paper until set and enjoy! 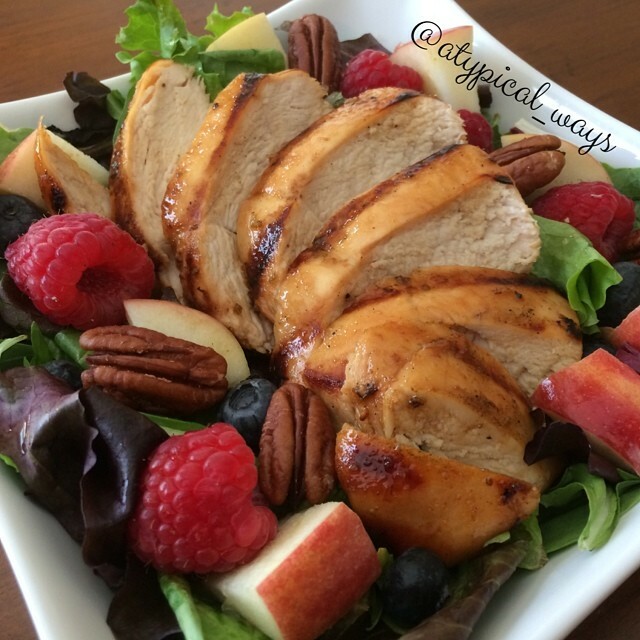 Quick & Simple Sweet Lime Grilled Chicken with a Berry, Apple & Pecan Salad! Combine the agave, lime juice/zest, soy, oil, sugar, garlic & onion powder in a small bowl. Season the chicken with some fresh ground pepper and place in a zip lock bag. Reserve 1/2tbsp of the marinade in a small dish(for basting) and pour the rest into the zip lock bag. Turn to coat the chicken. Allow to marinate in the refrigerator for at least 2 hours.